My first article, published in 1989, was an attempt to trace ideas about a “new” religion throughout European history of ideas. The religious history of religion has remained one my major fields of research ever since. My major contribution is an extensive study, published in 1998 (and widely reviewed), of the reception of the name “Zoroaster” in early modern history. The work, in two volumes, is entitled Faszination Zarathushtra: Zoroaster und die Europäische Religionsgeschichte der Frühen Neuzeit (Zoroaster and the Religious History of Early Modern Europe). The main account starts with the Byzantine philosopher’s Georgios Gemistos Plethon (d. 1452 [?]) ascription of the Chaldean Oracles to Zoroaster and proceeds to the French adventurer and Orientalist Abraham-Hyacinthe Anquetil Duperron’s (1731–1805) conquest and translation of some of the main Zoroastrian scriptures in 1771. The book contains detailed exegesis of writings of important Neo-Platonic philosophers (e.g., Marsilio Ficino, Francesco Patrizi), Orientalists (e.g., Thomas Hyde), historians, enlightenment philosophers (e.g., Voltaire), operas, novels, and a wide range of other source materials. I have followed up this study in a number of further essays, partly with regard to new source materials and partly with regard to more general issues within the religious history of Europe. One day I hope to write part II of the study, i.e. following up the Western history of Zoroaster from Anquetil down to the 21st Century. The study of the reception of the name “Zoroaster” in European religious history can also be read as a study of the prehistory of the academic study of religions as an academic discipline. It certainly has relevance for the discussion of the emergence of that discipline. Apart from the prehistory of the scientific study of religion, I have done short biographical studies of prominent scholars such as Nathan Söderblom and Raffaele Pettazzoni. In some publications (see the series of three articles published in Religion 2007-2009), I have attempted to outline the larger picture of the development of the study of religion(s) in Western Europe. In ongoing research I analyze the history of one journal as indicative for the history of the discipline. Being born in Cologne, the city that claims to house the relics of the Three Magi, an interest in the religion of these Magi, i.e. Zoroastrianism, was maybe innate in my scholarly carreer. During the mid 1990s, a publisher approached me for a short survey of Zoroastrianism. During the years from 1996 to 2004, out of a pocket of 128 pages a trilogy of, in total, some 1,500 pages emerged. (That makes it 1 page for every one 100 Zoroastrians living in the world, as a well-meaning friend once reminded me.) The work, bearing the title Die Religion Zarathushtras: Geschichte – Gegenwart – Rituale (Zoroastrianism: Past, Present, Rituals) is the first scholarly work on Zoroastrianism in German since 1965. The first volume sketches the pre-modern history of the religion, the second presents the history of the modern Zoroastrian communities in different parts of the world (with a focus on India and Iran); the third volume is a survey of Zoroastrian ritual practices. While I am indeed proud that I eventually got the work out, I maybe should not have started the project in the first place. By the way: I later on got the short book written nevertheless. It was published in 2005 under the title Zarathustra und seine Religion (also translated into Swedish, English, and Italian; Japanese translation in preparation). In Heidelberg, I directed a Junior Research group on the study of Zoroastrian rituals. Apart from my own work, the group has, among many other things, resulted in studies of Persian devotional poetry (Beate Schmermbeck), Iranian Zoroastrian shrines (Robert Langer), and Parsi funerals (Dorothea Lüddeckens). A study of Parsi Masonic rituals (Jan Snoek) is still in preparation. One result of our work is my edited volume Zoroastrian Rituals in Context (2004). With Dr. Yuhan Sohrab-Dinshaw Vevaina (who was a research fellow at our Department in 2008 and is currently lecturer in Religious Studies at Stanford University) I have co-edited The Wiley-Blackwell Companion to Zoroastrianism (2015). Assembling contributions by 33 scholars from 10 countries and covering most areas of research on Zoroastrianism this volume is the first of its kind. It has taken us almost six years to get the Companion published. In the final phase of the project we enjoyed the unfailing support of Anna Tessmann. Ever since I first traveled to Bombay in 1991 I became fascinated by the religious diversity and vibrancy of the city. When I returned in 1994, the terrible riots had happened. As a trace of the violence, the shop of my preferred second hand bookseller, who was a Muslim, had disappeared and his neighbors claimed not to know about his fate. Yet, I found many of the books I knew had been in his possession for sale at various pavement bookstalls across the city and the booksellers made ambiguous remarks about their provenience … I kept on traveling to Mumbai for Parsi-related fieldwork but had long wanted to investigate the religious ecology of the city on a larger scale. Finally, in 2014 we received a grant allowing a group of scholars to explore the socio-cultural dynamics of religious spaces in Mumbai; the project is managed by István Keul, with whom I had already collaborated on a study of a religious cross-over group in Mumbai some years earlier. Apart from the study of Zoroastrian rituals, the other half of “my” research group at the University of Heidelberg was devoted to ritual theory. We explored theoretical dimensions of the study of Zoroastrian rituals, but also dived deeply into the field of ritual theory in its own right. The two massive volumes Theorizing Rituals (2006 and 2007, edited with my former colleagues Jens Kreinath and Jan Snoek) express our desire to take stock of, reflect upon, and push forward the agenda of the past decades of theoretical discourse on ritual(s). While the second volume is an annotated bibliography of ritual theory from 1966 to 2005, the first volume reviews methodological and metatheoretical issues, classical topics, main theoretical approaches, and key (paradigmatic) concepts in ritual theory. The volume is provided with detailed indices (prepared by our student assistant Florian Jeserich). From ritual theory, it was only a small step to theories of religion. For a time it had seemed that the age of the ‘great theories’ has irrevocably passed. However, when it comes to such a disputed issue as religion nothing could be further from the truth: never before have some many theories of religion seen the light of the day. 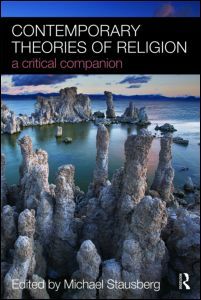 In my edited volume Contemporary Theories of Religion (Routledge 2009) seventeen recent theories are reviewed critically. The last word has not been spoken … and in a special issue of Method & Theory in the Study of Religion (4/2010) the discussion is continued. Given my work on theories of ritual and religion the problem of magic is a logical extension of the theoretical agenda: ‘magical’ acts are a kind of ritual and magic has been conceptualized and theorized in relation to religion and science. But what or where is ‘magic’? If the concept of religion is disputed, that of ‘magic’ is even more so, and there are good reasons to disband that elusive category altogether. Together with Bernd-Christian Otto (Universität Erfurt) who spent some months at my department in 2012, we co-edited a reader Defining Magic for the Critical Category in the Study of Religion series (Equinox). The reader brings together seminal writings from antiquity to today (including some original contributions). The texts have been selected on the strength of their success in defining magic as a category, their impact on future scholarship, and their originality. Tourism is part and parcel of modern societies. Its impact on and interferences with religion, however, are dramatically understudied. Maybe this is so because tourism appears to be the profane activity in nuce, to be contrasted with pilgrimages as a genuinely religious practice? In reality, however, these distinctions are constantly being blurred. During the summer months of 2007 and 2008, Janemil Kolstø (1981-2009), one of my former graduate students conducted fieldwork on tourist appropriations of churches in Bergen. (See here for some coverage of this project.) In the meanwhile I have written two more general books on the interface between religion and modern tourism, one in German and one in English. The German book was published in March 2010 by Verlag der Weltreligionen (Insel/Suhrkamp) and has created vivid interest in the media. The longer English version is out with Routledge. Sometimes things just come up. In my case, miscellaneous work for example includes a chapter on socialization for a German handbook (later translated into English). For once, I here could make use of my training in educational science. Another unexpected paper I tremendously enjoyed working on discusses African American ritual traditions in North America. (When attending AAR annual meetings I always make it a point to be present at least at one session of the Afro-American Religious History Group.) Some grant applications also fall into this category. Together with Florian Jeserich I applied for a grant for a longitudinal study of varieties of religion or spirituality related ways of coping with the massacres committed on July 22nd, 2011, among the Norwegian population at large. Unfortunately, we never got the grant, but in 2015 we published a version of the grant application in a peer-reviewed journal. In order to make myself familiar with the religious dimensions of my new home tome, in 2005 I started some walking explorations through some neighborhoods (together with some students and colleagues). Subsequently, I devised a modest research project on the religious mapping of Bergen which, at present, I have not been able to follow up. However, when preparing the project I suddenly became aware that there are plenty of research projects mapping religious diversity on a local or regional scale throughout Europe. There seems to be very little interaction between these projects. At the end of June 2007, colleagues from nine Western European countries came to Bergen in order to present and discuss their projects. Revised versions of these papers were published as a special issue of Religion (2/2009). Reviews are a time-honored genre of academic debate. Reviewing, my impression goes, has been unduly downplayed in recent times. Several scholarly journals rarely publish reviews at all (MTSR) and others impose quite severe restrictions on the length of reviews, which makes them rather short book notes than reviews in the proper sense. While evaluation of teaching has become more and more common, public (peer-) review is being unduly neglected. (Maybe one is afraid of publicly criticizing colleagues.) In Norway, reviews do not give credit points for publication – probably this is so, because reviews have no tradition in the natural sciences. For my part, in the past years I have published a couple of reviews per year. This is not because I believe my personal voice to be of particular importance, but because I feel that reviewing is an important dimension of the scholarly community as a community of critical discussion, and I for my part eagerly devour reviews. I am regularly reviewing for the following journals: Numen, Religion, Zeitschrift für Religions- und Geistesgeschichte, and occasionally for History of Religions, Religious Studies Review, and Zeitschrift für Religionswissenschaft. Since I am of the opinion that reviews should not only summarize content and applaud the authors, but be a forum for critique, my reviews sometimes tend to be perceived as more “negative” than they were intended. For Religion I have edited some review-symposia and in Numen I published what I call a “post-review”, i.e., a review article that reviews the reviews of a book (in that case Robert Bellah‘s Religion in Human Evolution). A related and equally neglected part of scholarly work is peer-reviewing (see our editorial in Religion 3/2010). Being a journal editor I know that it is increasingly difficult to have submitted articles reviewed timely and adequately. One often has to approach 10-15 persons in order to secure the necessary number of reports; in addition, not all reports are helpful either. Unfortunately, while everybody knows that reviewing is crucial for high-quality publishing, many people are not prepared to actually review papers. I hope that peer-reviewing will eventually also count as a measure of evaluating faculty. Peer-review also includes reviewing grant applications, which I am involved in on a regular basis.